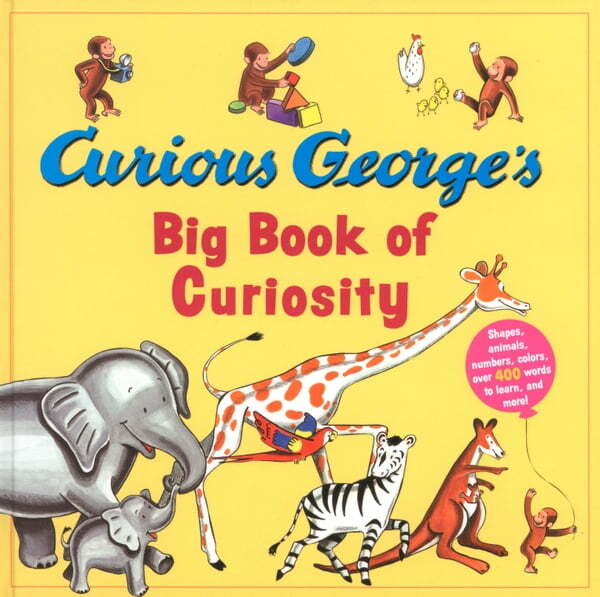 This concept ebook takes toddlers all over George’s world and theirs. Each page features a different concept: counting, shapes, opposites, emotions, family, jobs, homes, transportation and lots of new words! From morning to night, city to country, home to town and back again, little readers can follow George as they learn more about their own worlds. Just the right book for toddlers learning to talk to help build their vocabulary. The audio for this Read-Aloud ebook was produced and engineered by Perry Geyer at Cybersound Recording Studios (349 Newbury St., Ste. 201, Boston, MA 02115). Music theme composed by Cybersound Studios (Perry Geyer, Silvio Amato, Michael Africk, Greg Hawkes). Engineers: Perry Geyer (music production and sound design), Rob Whitaker (editing and mixing engineer), Samuel Creager (editing, sound design, and mixing engineer), Marcus Clark, Corey Rupp. Assistant engineers: Dave Chapman, Mike Pekarski, Justin Sheriff, Daniel Wrigley, Andrew Sardinha, Mami Ienaga, Kevin Notar, Maria Goulamhoussen. Sheridan Willard, John Huang, John Schmidt. Voiceover by Nikki Lu Lowe.